Consider a paintball bachelor party as a great way to celebrate your pal getting hitched. The typical bachelor party usually means an evening with the guys at some bar having drinks. Why not try something adventurous and fun. Everyone can dust off their favorite camouflage clothing and end up having a fun-filled and action-packed day to remember. 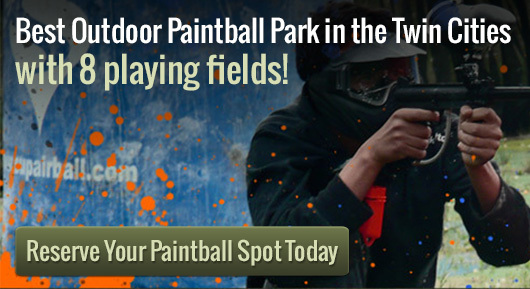 Action Packed Paintball can host private parties for groups of 2 members to 150. It is simple as making a call to make your reservation for a paintball bachelor party. A party host will be assigned to you and will be with you thorough out the day. They will take you through all the rules and teach you how to play. All the necessary safety precautions will be explained to your group, so everyone can have great time while being safe. Your gear will be provided as part of your package. It is recommended that you dress in comfortable layers and reliable footwear. Your private playing field is available to you from dawn to dusk and your party host will even referee your game. There is a spectator area for those who do not want to play, but still want to be a part of the action. Action Packed Paintball has modern conveniences such as indoor restrooms and a vending machine area. There is a dining area where food can be brought in or delivered by area restaurants. Grills are also available for your use, so pack some steaks and burgers and spend the day playing with the guys at a paintball bachelor party.